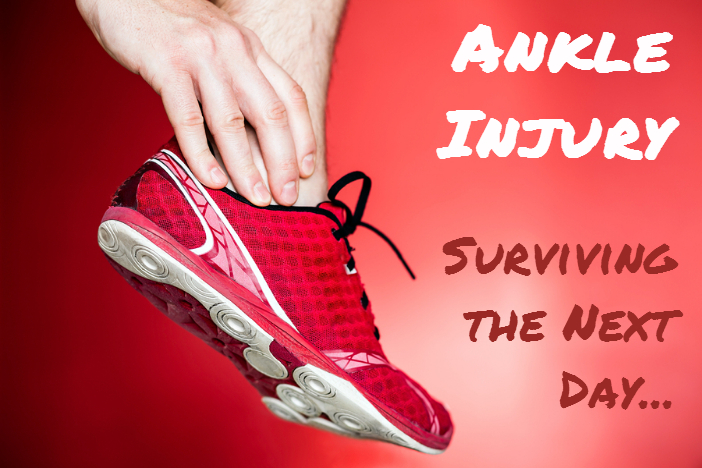 With an ankle injury, your first days towards recovery could not only be painful but also bothersome. Worse, you may not able to put any weight to your feet; so, moving around becomes a problem. You might look the days ahead as challenges – – and they really are. But we have compiled some helpful ankle injury treatment tips that you can use to make things easier as well as speed up your recovery. • Rest the ankle. Use crutches if necessary. • Ice the injury for 20 to 30 minutes several times a day for the first 2 days. • Compress by wrapping the ankle lightly — not tightly — with an Ace bandage or elastic ankle brace. • Elevation. Elevate the injured or sore area on pillows while applying ice and anytime you are sitting or lying down. Try to keep the area at or above the level of your heart to help minimize swelling. Pain, swelling and other ankle injury symptoms can be managed at home with proper routines and over-the-counter medications. For the first 72 hours, you must avoid activities that cause or intensify the swelling. Do not use heat therapy like hot packs or hot baths. Avoid alcohol as it does not only increase the swelling but also decelerates the healing process. Running or other form of exercise that uses the legs must also be avoided. Massage is not recommended for the first 3 days of the injury. Set up your home in the right manner so you won’t have to go out or move much around to use your injured ankle. Painful ankle injury sprain may demand you to move less during the first days. Remember rest is very essential for you during these days. If you have a serious and painful injury that makes it hard for you to move around, you can ask a friend or a relative to help with the set up. There should be foods stock up in the fridge. Crutches (if necessary) should be close to you all the time. Pain relievers must also be within reach. Keep your water bottle, phone and anything else important at same place with you at all times. Communication must always be available. You need to make sure that you are safe inside your house. Emergency phone numbers – the fire department, local police, the nurse – should be on speed dial. Keep your lines open all the time. Toiletries should also be placed in bathroom nearest to your room. You don’t want to climb up and down the stairs just to brush your teeth. Kitchen tools must also be move to the counter or drawers where you can easily reach them. The bottom line here is we are trying to eliminating all the possible way to put weight to your injured ankle. Because you are injured, your body required more energy to speed up the healing process. Therefore, you needed enough calories. Go for healthy foods that have adequate amount of good calories. Protein is also a very vital nutrient needed when you have injury. Increase protein intake for 10 to 20g a day and that should help a lot. You could go for nuts, beans, meats or consider protein supplements. Minerals like zinc, silicon, copper, calcium and phosphorous are most indeed by the bones during your recovery. Vitamin D, is also necessary as calcium can only be absorbed by the body with the presence of vitamin D. Orange juice, cereal, beef liver, tuna, mackerel, salmon and egg yolks are good sources of Vitamin D.
• Stand with your affected leg on a pillow. • Hold this position for a count of 10. • Stand on your affected leg with the resistance band applied to your unaffected leg. • Bring your unaffected leg forward and then back to the starting position. • Start slowly and progress to a faster speed for a more difficult workout. • Again, start slowly and increase your speed at your own pace, moving the unaffected leg forward and then back to the starting position. For a more advanced exercise, swing your unaffected leg behind you and then back. The smart way towards accelerated healing is through the help of professionals who know what to do on your case. Make an appointment with a physiotherapist the soonest possible time for any ankle injury – mild or severe. Live in the St Albert area? Give us a call for a no obligation appointment. Bottom line, it’s essential to seek help from qualified physiotherapist to get the right rehabilitation program. A tiny mistake could lead to greater risks. For instance, ankle braces that don’t rightly fit may only prolong your healing process. A physiotherapist can help identify the right brace or ankle support specifically for the severity of your condition and build a proper rehabilitative program according to your case. Your physiotherapist will also teach you how you can avoid injuring the same area again. 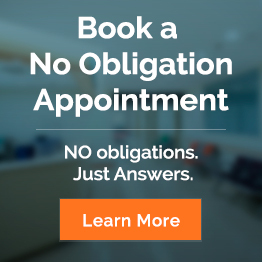 Call us at Body Restoration now for a no obligation appointment. Since 1992, we had successfully helped a wide range of ankle injury cases – let us do the same for you.